Richard Montagu, a bird watcher from Long Sutton Meeting, gave a fascinating illustrated talk on ‘The Healing of the Avalon Marshes’ at Street Meeting House on Wednesday 16th September. 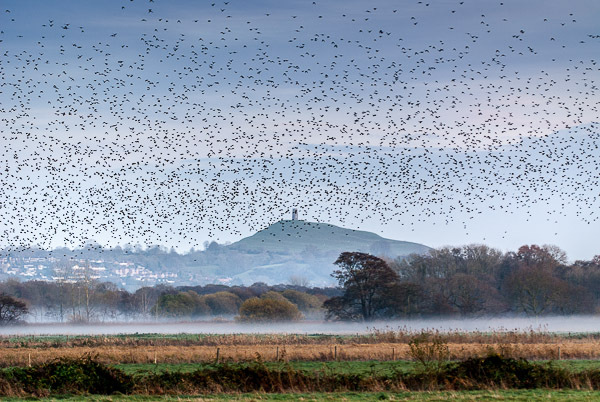 He described the RSPB's newly created wetland at Ham Wall, west of Glastonbury, and explained what this has meant to nature in the area. A very attentive audience learnt how the whole of the Avalon Marshes has become a home for Bitterns, Kingfishers, Otters, Water Voles and of course Starlings! The collection after Richard's talk raised £115 for the Somerset Wildlife Trust. Richard is a life-long birdwatcher and RSPB guide at West Sedgemoor reserve.